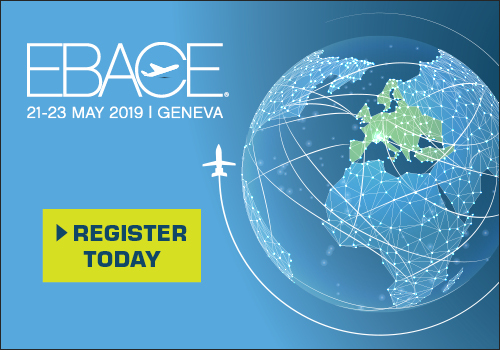 The Latin American Business Aviation Conference & Exhibition (LABACE) featured a virtual representation of Dassault’s newest aircraft, the Falcon 6X, the most spacious, advanced and versatile ultra-widebody twinjet in business aviation. This new 5,500 nm aircraft will make its first flight in early 2021 and begin deliveries in 2022. Additionally, the static display included the ultra-long range 6,450 nm/12,000 km Falcon 8X trijet and the 4,000 nm/7,700 km Falcon 2000LXS short field twinjet. The 5,500 nm/10,186 km Falcon 6X feature a cabin six feet, six inches (1.98 m) high and 8 feet 6 inches (2.58 m) wide -- the highest and widest cross section in a purpose built business jet. Nearly 40 feet 8 inches (12.3 m) long, it will offer more cabin volume than any other Falcon ever designed. The new twinjet will also be equipped with the industry’s most advanced digital flight control and cockpit technologies, drawing on heritage from Dassault fighter jet programs. It will be the first business jet to carry a flaperon, a new control device that further improves control during approach, especially on steep descents. The 6X will make its first flight in early 2021 and begin deliveries in 2022. Virtual reality demonstrations will enable viewers to experience the 6X’s entirely new passenger-centric cabin, three lounge configurations and multiple large entry and crew rest options. 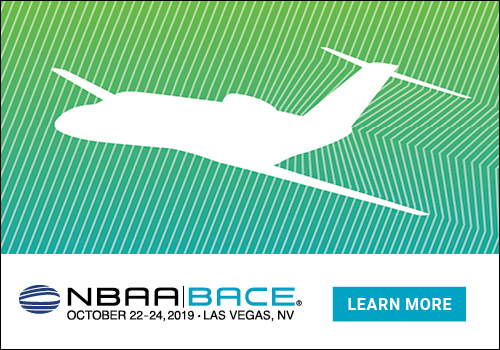 Visitors will also get a glimpse of the aircraft’s all-new cockpit, centered around a third generation of the award-winning EASy III all digital flight deck. All demonstrations will be in the chalet. Brazil has emerged as one of the strongest markets for the new Falcon 8X, accounting for one in every five aircraft sold to date. With eight passengers and three crew, the Falcon 8X is capable of connecting São Paulo with San Francisco and Moscow, Hong Kong with London and Shanghai with Los Angeles. The aircraft features a cabin 1.88 m (6 ft 2 in) high, 2.34 m (7 ft 8 in) wide and 13 m (42 ft 8 in) long and offers customers the most diverse selection of cabin layouts on the market. Three galley sizes are available, including two with a crew-rest option. Operators can also choose from an extensive selection of passenger seating areas of varying lengths capable of supporting different lavatory layouts. The 8X is available with Dassault’s revolutionary new FalconEye Combined Vision System, the first head-up display in the industry to combine synthetic and enhanced vision capabilities. In addition to ensuring superior situational awareness in all conditions of operation, day and night, FalconEye will also make it possible to reduce minima in low visibility landing conditions, providing a substantial operational benefit. This new capability recently completed a joint FAA/EASA certification campaign and is being introduced onto the market later this year. Falcon 8X passengers can also enjoy Ka-band high speed internet connectivity throughout the cabin thanks to the recently introduced Honeywell JetWave connectivity option and Falcon Connect, a state-of-the-art high speed connectivity service. Falcon Connect integrates all cockpit and cabin ground and satellite communications into a single bundled offering, making onboard connectivity systems easy to use and consumption simple to manage and control. It also provides a single source for hardware, services and technical support, allowing pilots, passengers and operators to remain fully connected everywhere, all the time with complete peace of mind. The Falcon 2000LXS, and its shorter range sibling, the Falcon 2000S, offer a short-field capability comparable to smaller midsize business jet models but with a range and comfort level far better than those aircraft. Equipped with a next-generation EASy flight deck and the FalconCabin HD+ cabin management system, the 2000LXS/S offers a combination of airport performance, cabin design and efficiency unique in its class. It is also available with the FalconEye Combined Vision System and FalconConnect. Over the past year, Dassault Aircraft Services has added tooling to perform ‘B’ level checks for Brazilian registered Falcons to both the Falcon 7X and Falcon 2000 family. Additionally, the Pre-Purchase Evaluation (PPE) program has been started in Sorocaba. The PPE is a program for those considering a pre-owned Falcon and includes a thorough physical evaluation of the aircraft, aircraft systems operational checks and a detailed record research. The company-owned Sorocaba Service Center is also authorized to perform line maintenance and airframe inspections on all Falcon models except the Falcon 10, Falcon 20 and Falcon 200. In addition, the facility is qualified to provide engine maintenance on the CFE-738, Honeywell TFE731 series engines and Pratt & Whitney Canada PW307A, PW308C and PW307D models. Specialized Non-Destructive Testing (NDT) services, such as penetrant and eddy current testing can also be performed. A full service battery shop is available to repair, replace or recharge main and emergency batteries on Falcon and other aircraft models. Following the opening of the Sorocaba Service Center in June 2009, Dassault Falcon Jet has continued to invest in the facility with increased manpower, spare parts and tooling. Sorocaba can dispatch an AOG team to support Falcon aircraft anywhere in South America, along with the parts and tools necessary to get the aircraft flying again with minimal delay.